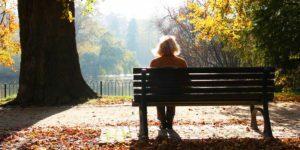 When your spouse passes away it can be emotionally overwhelming. Your best friend in many cases, has just left you and your wondering what you will do for the rest of your life. There are so many things to do and it just seems that you cannot focus on anything at all. How will you get through the next day let alone the next week and months. There are some things to focus on initially and as the days go on. It will get easier as time goes on. What you need is a financial checklist when a spouse dies to assist you in those first few months. Apply for government programs – depending on age, there may be government programs available that will improve your financial situation. Apply for these now. Contact employers – if your spouse was still working, you will need to let your employer know. There may be additional benefits that are available from your spouses employer. Contact banks and investment advisors – let them know what has happened and provide the necessary documentation to transfer all assets to you. Review real estate position – discuss your real estate situation with your lawyer and make any transfers that are needed. You may be thinking of downsizing, don’t rush, take your time to make your decisions. Preserve your assets – you may need all of your savings for the future to pay your own bills etc. Avoid spending your assets until you have a good appreciation of your situation.